As the opioid crisis continues across the country, law enforcement is also confronting the surge of small-scale manufacturers "cooking" drugs like methamphetamine in makeshift labs. The American Addiction Centers Resource conducted a study, uncovering the scale of the meth problem on both a national and more localized scale. The study analyzed thousands of meth lab busts and seizures across the nation, tracking geographical and chronological trends. DETROIT — As the opioid crisis continues across the country, law enforcement is also confronting the surge of small-scale manufacturers "cooking" drugs like methamphetamine in makeshift labs. The American Addiction Centers, Inc. conducted a study , uncovering the scale of the meth problem on both a national and more localized scale. The study analyzed thousands of meth lab busts and seizures across the nation, tracking geographical and chronological trends. Their website at Rehabs.com created an interactive map based on the last decade so people can see just how close they live or have lived to a meth lab. 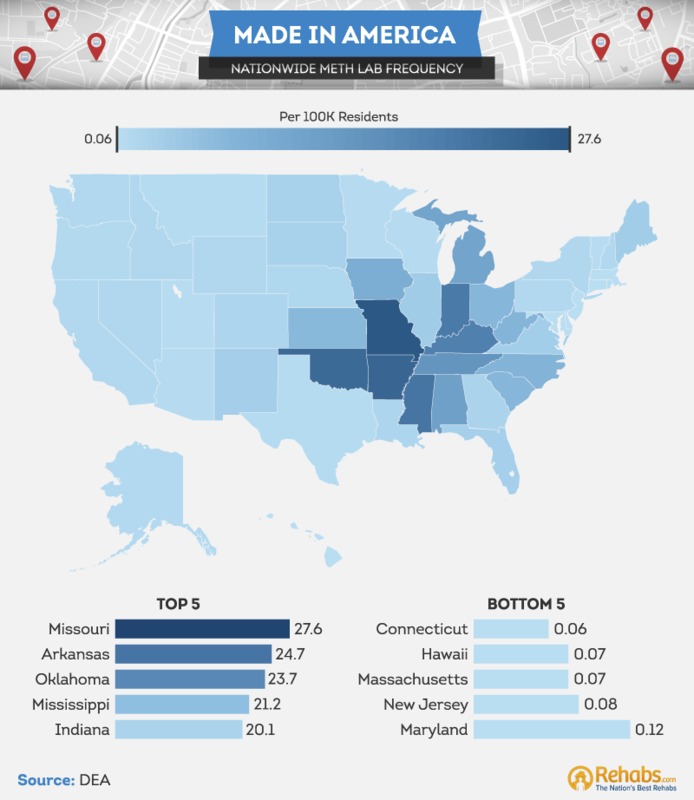 Missouri and Arkansas were among the states with the highest meth labs per 100,000 residents, at 27.6 labs and 24.7 labs per 100,000 residents. Connecticut and Hawaii had the least number of meth labs at 0.06 and 0.07. 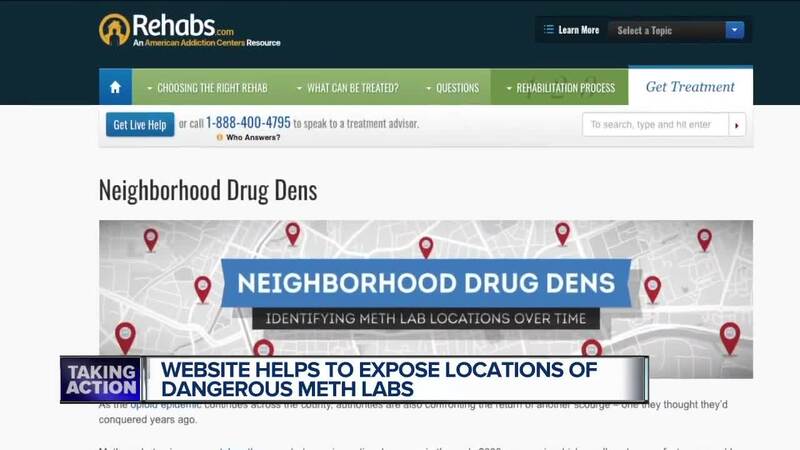 "It’s startling to see that so many meth labs have existed in seemingly safe, family-friendly neighborhoods,’ says Ruchi Dhami, the director of Brand at Rehabs.com. "Perhaps if just as many accessible rehabilitation facilities were present, these numbers would be lower." Click here to use the interactive map.